When I was working in a bank, there was a “care” programme with the purpose of showing more care to the clients by giving them our best service. Besides to retain old clients, the programme is also meant to attract new clients. I think it can be applied to the lives of God’s children. If we show care to others, we will be able to keep our friends, as well as add new friends. We cannot be a hypocrite if we want to care for others because it has to come from our heart. The care doesn’t come from the outside, but from the inside. The thing that motivates us to “care” for others is compassion. If we don’t have compassion, our heart will not be touched when we see somebody who is in need of help, or those feeling sad, struggling, in pain, abused, and even those who are lost, yet to be saved. There is a term called EGP (I don’t care). Individualism has replaced “care” for each other, to pay attention and help each other. Each individual has put himself and his family above all things, even God. What important for them is that “I am doing well financially and I’m happy with myself.” On the other hand, if we call ourselves as followers of Christ, we must understand that our lives are not for ourselves: we are blessed to be a blessing for others. 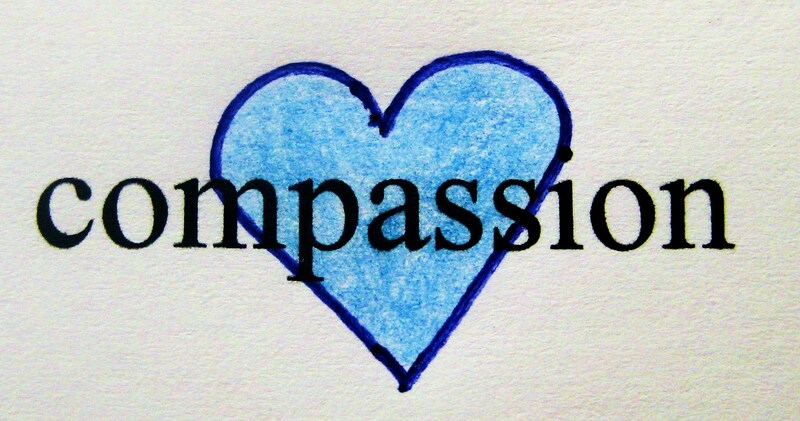 Do you know that having compassion does not make us a weak person? Instead, it describes the strength of one’s character. Jesus said this because the Pharisees did not like it when Jesus said to a lame man that his sins have been forgiven. The same thing happened when the Pharisees saw Jesus sat with the sinners. Jesus did all of this because He has compassion for those souls, whereas it is the other way around for the Pharisees. We can care for others by doing things, such as doing social service to the community, helping those in need, praying for them, etc, but if it is not based on compassion, it does not mean anything, there is no eternity value. If we see Jesus’ ministries, they are all based on compassion, for example when He saw many people homeless like sheep without a shepherd (Mat 9:36), when He saw many people and healed them and gave them food (Mat 14:14), and when He saw a mother crying for her lost child (Mat 7:13). We need to open our hearts and start learning to care for others. If we care for others, then our lives will be different. We will be happier because we can be the channel of blessings to others. One’s success is not based on how rich we are, how famous we are, or how high our career is. 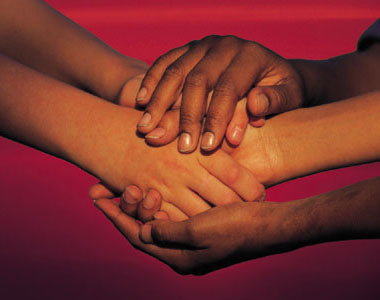 It is based on how much we have given/done to others, in terms of attention, money, time and prayer. If we are sensitive, we would see that there are lots of people around us who need our help and attention. So, in this “caring” month, let’s express our love to God by paying attention and caring for other people. Lord Jesus, make me a vessel for your Glory. If there is anything in me that needs healing, heal me so that I can be a vessel, ready to be used by You. Forgive me, if all this time I only think about myself. I want to open my heart now. Pour out Your spirit of compassion to me, Lord.. Thank you Lord Jesus. 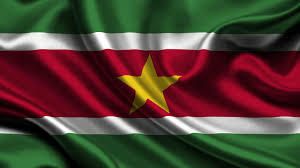 Suriname is a country that consists of a multi- ethnic population (Indonesians, Africans, Indians and Latin Americans). Pray for harmony among the various ethnic groups, so that all divisions and disputes will be avoided. Pray for the government of this nation, that they will be kept away from the state government dictators, corruption and injustice. Pray for a government that will bring stability in all things (social, economic and political) in the nation. Pray for the revival among the Christians in Suriname. Although the majority of the population are Christians, their lives do not reflect their faith. Pray that the Holy Spirit will blow upon this nation. Restore your church and may the church reach out to more souls, especially the Hindus and Muslims in this nation. Ever since the World Prayer Assembly was held in Indonesia (SICC) in 2012, the message from God which we received has been that we should always pray that Habakkuk 2:14 becomes a reality: “For the earth will be filled with the knowledge of the glory of the Lord, as the waters cover the sea.” In accordance to principles in the Bible, we know that there are things that are God’s part and there are also things that are our part. The latter refers to the things we need to do in order to realize the above vision: for us to have knowledge about the glory of God. Knowing about the glory of God means to have a personal encounter with His presence, as well as to have right and healthy knowledge of His truth. We need to learn, explore deeper and have knowledge of God’s truth. Why? As children of God, we ought to know GOD whom we worship in the name of JESUS CHRIST. To become a Christian in this world without any knowledge of who JESUS CHRIST is, is like someone who drives a car with its pitch-black-tinted glass windows being fully drawn up. This is very dangerous. Without having knowledge about the truth (i.e. Word of God), we will never be able to live our lives well in accordance to His plan. Likewise, we will not be able to have a good relationship with Him because we will try to understand Him through our own interpretation. We gain the knowledge and glory of God not only through a personal encounter but through a true understanding of His truth. The above verses should be understood correctly. The above verses do not say that foundations are not important, but rather it is the opposite: it is very important. The first few principles about CHRIST, as expressed above, serve as a very important basis for us to understand because it serves as a stepping-stone for us to attain greater spiritual development and growth. Many children of GOD are not able to “rise to the next level” in their spiritual lives because they are still struggling and do not have the true knowledge on the basic principles of Christianity. Why? They try to understand by relying on their own thoughts and strengths. This is why our church encourages everyone to attend KOM classes to gain correct knowledge of the truth, right foundation, and thus, enable them to develop spiritually. How are these being developed? Through the application of the knowledge of the truth, mentorship and ministry in COOL groups. This will help us go up to the next level. Amid the many problems that are happening in this world and with so many people requiring help, consolation and strength, we who know GOD and have His truth are called to serve people who are in need. Many are able to help and give advice, but only the Word/Truth of God brings liberty. When we serve others let us do so by the light of the Truth. Words of advice, consolation and strength that flow out of our mouths should be in accordance to the truth of God’s Word. Without having the foundation and truth of God, whatever we say are just ordinary words without any power. Man can say beautiful and kind words but only words that are based on the truth of God will bring full restoration. God’s power is in His Word. Challenges faced by children of GOD today are heretical teachings and understandings of the world which may appear to be fine but in actuality, are not based on what JESUS has taught. If we have knowledge of the Truth (Word of GOD), it will protect us from doing wrong. We will become more aware and sensitive to the things that do not come from GOD. An example of this comes from an officer who was in charge of identifying counterfeit money in the U.S Treasury. Officers are trained to be able to immediately identify the difference between real money and fake. They have to study in detail the real money for at least eight hours a day for one year. Upon completion of the exercise, these officers are able to quickly differentiate between the real and fake money. Likewise for us: the more we know GOD and learn about His truth, we will be protected from doing wrong and believing in false teachings. Knowledge of the truth of GOD will determine what we do in our lives, because what we think and are convinced of determines our actions. To learn and have the knowledge about the truth is the commandment of GOD. Why? This is to enable us to be right before Him, to become children of GOD who live in the light of the truth, and are ready to share the truth to anyone anywhere. This is the duty of all children of GOD, not just a group of workers/servants of the church. Friends, once you accept Christ into your heart you have a divine connection with other Christians! Have you ever noticed that a Christian will always find other Christian? And they will almost always greet each other with great affection or a simple ‘God Bless You?’ Why? Because we are connected! Psalm 95:7 reads, “… he is our God. We are the people he watches over, the sheep under his care.” God has made a commitment to every person in our congregation – to care for you! Now, to me that is a big deal – that the God of creation is committed to care for me and for you, for all of us! And God has placed in our lives certain people who care for us – parents, brothers/sisters, family, friends, pastors and Sunday School teachers. All of them are placed in our lives to care for us because they are connected to us! Some of you may not have a caring family or caring friends. To each of you in this situation, please be aware that that this Church is committed in caring for you! People look forward to connecting with people who care for them – like when a father who cares for his children returns home, his children drops everything they are doing to greet him. The Church leadership cares for you. Much time is spent in prayer for each one of you because we care for our people. Our time is committed to care for you, not just because we are called here, not just because we love our ministry, but because we genuinely care for each of you. the other can reach out and help. But people who are alone when they fall are in real trouble” (Ecclesiastes 4:10). Whether you like it or not … we all need to connect with someone now. One may think – “Me and God, that’s all I need.” But God created us for close relationships with each other – people need people! Why are relationships important today? Relationships are important because they provide a sense of belonging. Relationships also make us feel secure and they provide the only way to establish friendships. Relationships help us to feel needed. As difficult as caring is, connecting requires your life! In the book of Philemon, we read the story of Onesimus and Paul. Onesimus had fallen away from the faith, but Paul poured his very life into this young man. “I think of him as my own son because he became a believer as a result of my ministry here in prison … I am sending him back to you, and with him comes my own heart … give him the same welcome you would give me. If he has harmed you in any way or stolen anything from you, charge me for it.” (vs 10, 12, 17-19) Paul connected with Onesimus so much that he called him his ‘own son’. Paul devoted his life to connecting with people – it was his life’s work! Caring should not just be said, but shown. We can say we care about someone but they will not believe it until they see that we really care! 1 John 3:18 reads, “Dear children, let us stop just saying we love each other; let us really show it by our actions.” Care is only truly seen in our words and actions! Some practical ways we can show someone we care – greeting them, spending time with them, sending words of encouragement, pray with them and many more. You and I have been placed in BCS to be connected. You are a perfect fit in this group! It is because you are here that BCS is healthy and growing and full of love! You make the difference! It is the desire of the leadership here at BCS that we connect you to Christ that we connect you to each other and that in return will connect you to 1MPFJ for Jesus through your care and the sharing of the Gospel. Our Father in Heaven, we thank you for our Lord Jesus who has saved us and placed us in BCS as a family. We thank you the your Holy Spirit is poured into our hearts so that we can care for each other as well as reach out to 1MPFJ through your love and our caring. May we continue to grow in your love so that we can care for others. Grant us wisdom so that we can share the Gospel with our friends and neighbours in creative ways. Each of us is an important part in the Kingdom of God. God is seriously reminding His people to live in the power of His kingdom so as to confront the philosophy of this world which can deviate us from God’s truth. His second coming is near. God wants man, whom he created acccording to His image, to switch from the misleading system of the world to the system of God’s Kingdom. We have to learn to recognize heresy that the enemy has slipped into the church of God. One day I asked a servant of the Lord, “Why do we have to bribe?” He answered, “Yes, we have to make use of mammon to build friendship.” That servant of the Lord quoted Luke 16:9 with the understanding that “gaining friends” meant using bribes and collusion. Another example which we may often hear is “Thrif makes us rich”. At a glance, it seems that this phrase is good; however if it is not accompanied by God’s truth, it will make someone stingy and not care about the difficulties and sufferings of others. Jesus taught us the way to differentiate between the riches of the world and the riches of God’s Kingdom: “Therefore I tell you: Do not worry about your life, what you will eat; or about your body, what you will wear. For life is more than food, and the body more than clothes. Consider the ravens: They do not sow or reap, they have no storeroom or barn; yet God feeds them. And how much more valuable you are than birds!” (Luke 12:22-24, 30). Many have tried to save, but end up “trapped” in relying on their wealth which they can see. God is not against our savings account, but He does not want for us to focus on that savings account. He wants us to believe that He is able to fulfill all our needs. True prosperity is the ability to move the power of God to fulfil our needs in this world, be they the needs of the spirit, soul, body, social or financial. 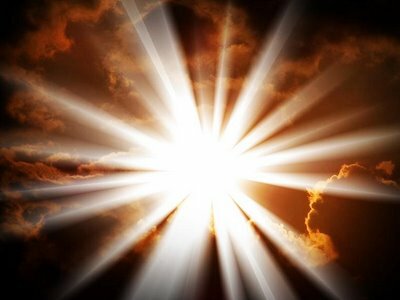 When Jesus became our Lord and Saviour, we moved from the kingdom of darkness into God’s Kingdom, or the Kingdom of Light. 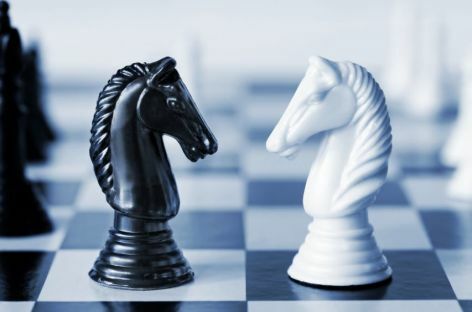 Jesus and satan each have kingdoms which are opposed to each other. Satan is the head of the kingdom of darkness, and many have become his agents in this world. Jesus revealed something when He spoke to the Jews: “Even as he spoke, many believed in him. To the Jews who had believed him, Jesus said, “If you hold to my teaching, you are really my disciples. Then you will know the truth, and the truth will set you free.” They answered him, “We are Abraham’s descendants and have never been slaves of anyone. How can you say that we shall be set free?” (John 8:30-33). This is why when Jesus was in this world, He often spoke about God’s Kingdom. “After his suffering, he presented himself to them and gave many convincing proofs that he was alive. He appeared to them over a period of forty days and spoke about the kingdom of God.” (Acts 1:3). Why is that? Because in His Kingdom, God has prepared all that we need to live in victory on this earth: understanding, wisdom, peace, joy, health, prosperity, provision and protection. Satan misleads us to adopt the philosophy of this world and end up losing all the power of God’s kingdom, become prisoners, and at the end, be destroyed. The only way to enter into God›s Kingdom and experience Kingdom life is for us to be born into it or be born again by accepting Jesus Christ as our Lord and personal Saviour. After that we will be able to confront the philosophy of the world with God›s righteousness. Our priority in life has to be right, to do what Jesus has said: “But seek first His Kingdom and His righteousness, and all these will be given to you as well.” (Matthew 6:33). It is clear that this is a very important priority in order for us to experience the greatness of God’s power. Many Christians already know that verse, but do not realize that this verse has the power to change their lives. His priority in life is to earn money, gain popularity, and position more than God’s truth, to the extent that his spiritual life becomes cold and weak, easily influenced by misleading teachings. If we do not recognise the ideas of the kingdom of God, we cannot escape the world’s system and enter the realities of His Kingdom. The words “Our Father” tells us that there is a relationship between us and God as Father. He is the One who is able to, and desires provide all that we need and teach all things so that we experience a happy life. The words “Hallowed be Your Name” tells us that we have to respect the Name of God and follow His word as absolute truth. The words “Your Kingdom come, Your will be done on earth as it is in heaven” shows that He desires this earth to be like heaven through our lives. In the Garden of Eden, God said: “Then God said, “Let us make mankind in our image, in our likeness, so that they may rule over the fish in the sea and the birds in the sky, over the livestock and all the wild animals, and over all the creatures that move along the ground.” (Genesis 1:26). To rule means to “have the highest authority” where we become channels of God’s power on earth so that His will be done on earth as it is in heaven. Since the first man Adam had that power, the devil wants to be their spiritual guide, so as to have access to earth and build his own kingdom through man. When Jesus paid the price for sin and holds the key of death and hell over the devil, He opened the way for man to restore his relationship with God and come under His leadership again. The Pharisees are hypocrites and full of the law, yet do not follow the rules that they made. They put heavy burdens upon others that they themselves do not want to carry. Jesus described them as whitewashed tombs which look clean on the outside but inside are full of the bones of the dead and everything unclean. (Matthew 23:27). The Sadducees are those who declare that they have received a greater revelation compared to others, feeling that they are the best. They do not understand faith, grace or other principles of God’s Kingdom. To confront the philosophy of this world with God’s righteousness is not through worldly ways like demonstration, debate, violence, etc. We are to make a conscious effort to shift from the system of the world to the system of the Kingdom of God. To shift, we need God’s power. We will experience this power because of our faith in the Lord. One of the signs of the Third Pentecost is the outpouring of the Holy Spirit or the glory of the Lord in an extraordinary way. “But you shall receive power when the Holy Spirit has come upon you; and you shall be witnesses to Me in Jerusalem, and in all Judea and Samaria, and to the end of the earth.” (Acts 1:8). Feature: Ecuador is the second smallest country in South America. Pray for the welfare of the nation of Ecuador, that there will be economic and social recovery in this nation because God has risen in Ecuador. May the government rule with the fear of the Lord. Pray for unity and growth of churches in Ecuador. One Lord, one faith and one Father of all, who is above all and through all and in all (Ephesians 4). Pray also for the younger generation there. The Holy Spirit is transforming their hearts to seek God and His righteousness. Pray that the young children in Ecuador will be changed into an arrow for the Kingdom of God, to change his family, his friends and his people for Christ. 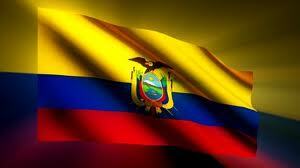 Let the nation of Ecuador say that God is their shelter and protection, their rock and salvation, forever! These have formed the character of this ministry in the past 25 years. It has developed continuously to what you see today. Maybe you are asking, “Ps Niko are you still afraid after leading this church for 25 years? Have you gotten used to it?” Many think that I have gotten used to it and no longer tremble as in the past. This is not so. Till today I am still afraid and tremble, especially as we enter a new month. Each month the Lord gives me guidance. When the time is near and the Lord has yet to speak to me, I feel uneasy and question Him continuously, “Lord, what is Your direction? What is it, Lord?” Do not think that I am not afraid, stupid and poor as in the past. Rather, I am still like that. Maybe some of you started a job with fear and trembling in foolishness before the Lord, saying, “I cannot do anything Lord, without You”. But suddenly the company starts to expand and whatever that you do succeeds. It was as if, by itself, everything succeeded. Many servants of God who experienced this forgot what Moses said. Be careful! You as a businessman or a servant of the Lord, always fear the Lord! Without the Lord’s guidance, all of it will be destroyed. I want to say before the Lord, until today I still do feel that I am not able because I am a stupid person. I did not graduate from Bible school. When told to teach about the Tabernacle of David, the Lord gave all of that to me! But now all of these have been recognized. I stand in awe because what we see now has greatly impacted others. Not the other way around! No one wants to recognize or accept a theory that has not been proven. Let us depend only on the Lord. I know this is the message of the Lord as we enter the year of Ayin Dalet, that is to depend only on the Lord! • Extraordinary outpouring of the Holy Spirit. If you enter through Jesus, the door, you will be saved and receive abundant blessings. Are you ready to be blessed? In the year of Ayin Dalet the Lord promises that those closed doors in front of you will open in the Name of Jesus! I know that this is a prophecy that will surely be fulfilled. Who will open it? Definitely the door itself, Jesus. Maybe the door of business, evangelism, or healing will be open. Maybe there is more, like the door to a life partner that sometimes has become a problem. But I believe in this year of Ayin Dalet, the doors to life partners will be opened in the Name of Jesus! I also believe the door for the Third Pentecost will soon be open by the Lord! I received confirmation about this when we had the revival services in Baltimore, America recently. Those present were Americans because I am now moving a lot among the Americans. Something extraordinary happened. When I started praying for the sick, imparting the anointing, and I stepped down from the stage, Ps Welyar was still on stage worshipping the Lord in the spirit. Suddenly a lady from Nicaragua approached Ps Welyar and asked, “Can you speak Spanish?” Pak Welyar replied, “No, I can’t”, but this lady then said, “But what language were you speaking in just now, because I heard you speak in Spanish and saying, “I worship YOU… I adore YOU!”…” So that was what that lady heard while Ps Welyar was worshipping in tongues. This is exactly what happened in the first Pentecost. When the apostles were filled with the Holy Spirit, the Bible said that they were speaking in languages as given by the Spirit. There were various interpretations. Some said that it was a spiritual language, but there were those who said it was not spiritual but languages usually spoken. Why? At that time, many came from the different areas. When the apostles spoke in the language given by the Spirit, they heard their own ‘mother tongues’ glorifying God. When I started my ministry, I was always ‘hooked’ on all these. They say “No! All the apostles did not speak in tongues like you but in languages we understand!” I still teach that the apostles spoke in tongues, however those who heard it understood it in their own ‘mother tongues’. This has been proven as we wait for the Third Pentecost. Hallelujah! The people of Nicaragua speak Spanish, so the lady from Nicaragua approached Ps Welyar and asked whether he could speak Spanish, because what she heard was Ps Welyar saying, “I worship YOU, I adore YOU..”, in Spanish, even though Ps Welyar was speaking in tongues. Out of the seven churches in the book of Revelation 2 and 3 where the Lord spoke to them, only the door for the church in Philadelphia was open. If you want the door to be open, be like the church in Philadelphia. What was the secret? The secret is also the key for us, that is: They obeyed the Word of the Lord and persevered in waiting on Him, it meant they were always ready. If that is you now, I believe the Lord Jesus will say to you, “Closed doors, be open!” And it will happen. Amen! We are asked to pray Isaiah 50:4. You have to pray like this, “The Lord God has given Me the tongue of the learned, that I should know how to speak a word in season to him who is weary.” Amen! Let us examine ourselves. Have our words made those who are weary gain new strength? Or have we made people who are enthusiastic suddenly become weary? Let us pray, “Lord give us a tongue like a disciple so that with our words we can give new enthusiasm to those who are weary. Sharpen my listening so that I can listen like a disciple!” So that when you hear the Lord’s guidance, watch earnestly so that you can fully understand it. You will rejoice because you will be guided by the Lord. Do not listen without understanding. Since the beginning of this year I have been telling you this. Every morning I never forget to say, “Lord, give me more understanding to listen to Your voice, the sensitivity to listen to Your voice!” That is what I ask for these days! In the beginning of the year I was in Hawaii for the Empowered 21 Global meeting. I met with Loren Cunningham, founder or ‘father’ of Youth with The Mission. He is 78 years old but still healthy. He has a teaching about listening to God’s voice. At the end of that event God told to ask him to pray for me. Since then I feel that I understand more because God has given me an increased sensitivity to hear. Once again, listening to God’s voice is most important. Listening to God’s voice is the most important thing compared to mopping, cooking and all that. Not that you cannot mop or cook, because if no one is doing all that, what will happen? But the problem here is which is more important? Is your hustle and bustle more important than listening to the voice of God? But you still have to also do those chores. Amen! You have to witness for Jesus. The characteristics are: To be strong and mighty soldiers with a lifestyle of prayer, praise and worship in unity day and night and to do the will of the Lord in this generation. Amen! If you do this, the promise of God upon entering 2013 is, “The year of complete restoration. 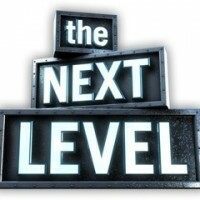 Entering the next level. Creative Miracles still exist!” Amen! Creative miracles still happen. You will see many more creative miracles. Sometime ago, a servant of God brought his son to me. On the left side of his neck, there was a big red lump. Doctors said that it could be tumour or cancer, and they were unable to do anything. When he came to me, the Holy Spirit told me, “This is ferocious!” I laid hands on him and said, “In the Name of Jesus, creative miracles still exist. Be healed!” What happened? Not long after, the swelling that was like a mountain, that big lump, suddenly burst and all the blood oozed out and the lump deflated. Now the child is perfectly healed. Creative miracles still exist. Hallelujah!